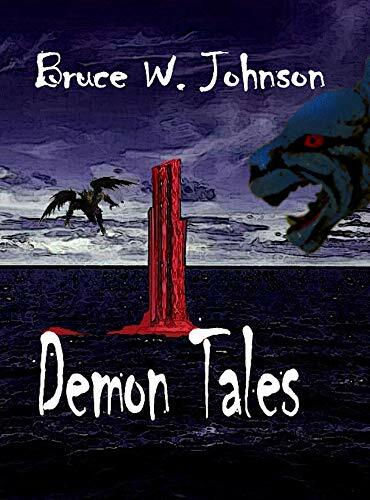 Here are fifteen short stories where Demonkind come face to face with Humankind, the results are sometimes amusing and sometimes horrifying. What they all have in common is a fast moving style which will keep you entertained from start to finish. There may be somecharacters who try to deal with Demons and come to regret it, while others get lucky and enjoy good fortune. We all enjoy a little bit of wickedness and that may be why Demon stoies are so appealing, there's no risk of the main characters being goody-goody, but in this particlar set of stories there is often a sense of poetic justice which leaves the reader feeling good about the outcomes. What happens when a gambler sells his imortal soul? How do Demons take revenge? What treasures could a young girl find in a Demon's horde? What can you do when a Demon tries to take your baby? Is it safe to fall in love with a Demon Prince? Where are Demons lurking in our world? How can three old men stand up to an army of Demons? These stories are timeless and will appeal to anyone who loves a short story with a wicked twist at the end, as well as those who love the occult for its own sake.